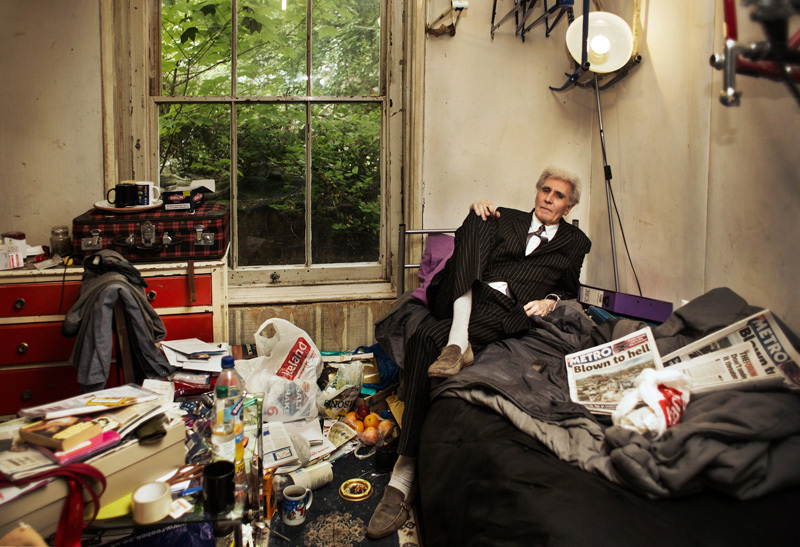 This project gives a glimpse into the world of George Fowler, 72, who is affected by hoarding. George collects all sorts of items from pavements and dustbins hoping that they find a better purpose than perishing in landfills. After 33 years of living in the same place, the accumulation of clutter got to a state that his four-bedroom house is barely accessible – ‘an accumulated illness’, as George calls it. However, after an experience of strong shortages during post-war times, his compulsive behaviour becomes a logical response to a society in which mass-production and excess-consumption have become the norm. For more than one year I spent time with George and eventually started to live at his place, allowing me to understand the human nature that lies behind his unusual condition. Capturing intimate moments of George’s everyday life, this project explores the relation between his condition and inner world, his domestic environment and his life outside his dwellings, blurring the lines between neurotic compulsion, humanity and non-conformist lifestyle.